Hello everyone and welcome to Altenew’s January 2019 Watercolor Brush Marker Blog Hop!! Today we are showcasing the new Winter Wonderland Set. If you arrived here from the talented Lydia Fiedler blog, then you are on the right track. If you arrived here on your own, then you will want to start at the beginning, the Altenew Card Blog so that you don’t miss a thing! Making memories is a fun activity so having a big scrapbook is perfect for that. Watercoloring adds a nice flair to the cover. This 25 page Japanese hand-bound watercolor scrapbook would make a great gift. Altenew is giving away a $40 gift certificate to SIX lucky winners! 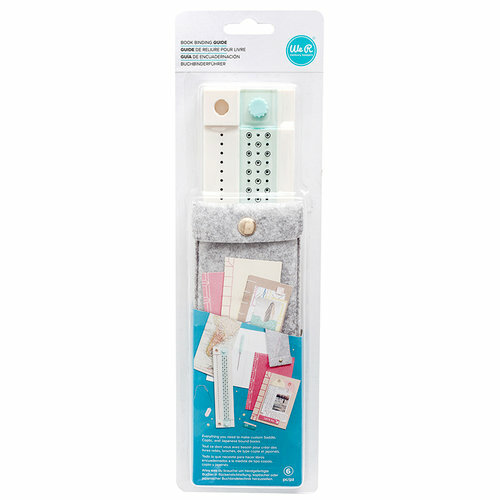 Please leave a comment on the Altenew Card Blog and/or Altenew Scrapbook Blog by Wednesday, January 16th, 2019 at 11:59pm EDT for a chance to win. The winners will be announced on the Altenew Card Blog and Altenew Scrapbook Blog on Saturday, January 19th, 2019. In addition I have a $20 gift certificate to giveaway from comments left on this post by Tuesday, January 15th, 2019 at 11:59pm EDT for a chance to win. The winner will be announced on Wednesday, January 16th, 2019. Beautiful job friend 🥰 ! Very cool project! I really like the simplicity of the cover. Hi Kymona 🙂 Your handmade journal is beautiful!!! I love the watercolor brush finish too! Unique and special 🙂 Thanks for the inspiration! I love your watercolor scrapbook! Great idea! I may do the same while I’m learning how to watercolor this year! Such a beautiful scrapbook! I love the bright colour! Beautiful scrapbook background or cover. I love the bright aqua with the black lettering. Thanks for the inspiration. So beautiful! Love the gorgeous shades of blue. Reminds me of the ocean on a sunny day! What a fantastic idea Kymona. The vibrancy of these w/c markers blow me away, they are truly gorgeous. I love how colorful these are. This is a wonderful cover for a watercolor scrapbook! Thanks for sharing! I love this project and the background is stunning. I love these new markers and the colors are amazing. Wow, the color is amazing! What a gorgeous cover! Beautiful cover work, Kymona! I want to see inside!!! These new markers are awesome for their bold rich colors and blending ability! Can’t wait to get mine! What a great way to remember your year! Pretty cover art for your book, these are my favorite colors from this set! What a beautiful scrapbook cover! A great use of the new brushes and colors and I love the die set that you used! I have that set too and I keep seeing it used in fantastic ways; I need to remember to use mine more! TFS! Beautiful cover for this scrapbook. This is so pretty! I wish there was a video. I would have loved to see how you colored this to get the different shades. Wow! I love the background! I would have loved to watch you make it with these new Altenew watercolor markers. I love your beautiful blue background! That is such a yummy color! I love all the colors in this release but especially the blues! That is a beautiful cover. I love those blues in this release. Thanks for being part of the hop. So brilliant and love the vibrancy and vividness of these Winter watercolors! Gorgeous way to show it off with making it your cover! Great scrapbook cover. Love the shades of blue, too. Another example of the versatility of watercoloring. Kymona, thank you for sharing your creation! I don’t usually use blue in my work, but I absolutely love the vibrant mix you used. Such a wonderful way to make a background. Just beautiful work! That looks like the most inviting ocean or pool to dive into. I feel like it would even splash if I tried! What a pretty cover for a beautiful book. Thanks for sharing with us! I always love seeing what you are creating Kymona! Another gorgeous project and fabulous inspiration. Beautiful color for the cover! Nice! Kymona, I love the cover of your scrapbook. It looks so awesome! Beautiful mix of blues! This is an amazing new use of these pens!! Thanks for sharing!! Awesome scrapbook! Love the coloring!